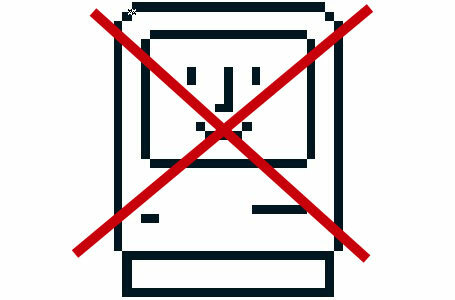 So for over twenty years I had been using a Macintosh in a corporate work environment. 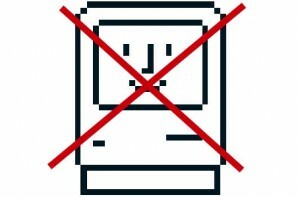 Back in the mid 1990’s those of us who worked in the corporate work place we got used to the idea that the Macintosh was a rogue computer that our IT department was trying hard to wipe out. So maybe back then I was younger and had more energy to be a little bit of a rebel using a Mac in a growing sea of Dell laptop computers running Microsoft Windows. But it seems so many things have changed in this world. Least of all is the fact that after I’m probably going to give up the fight and allow my Mac to be taken away and conform … sigh … to become another Windows computer user. My Mac and it’s great features including a pair of super large 30 inch monitors will be shoved aside by something much smaller and more appropriate for someone conforming to the standard appropriate behavior. Suddenly something that used to give me a bit of pleasure will be no more. But as I slightly mourn this transition, I also wonder if the true mourning is not so much that my Mac is going away but that I’m not even wanting to put up a fight for it any more. I have some good sound arguments for it. But you know I’m so so so busy at work managing projects that I don’t have time to fight. It’s just so much more stressful not sticking out like a sore thumb, just conforming and fitting in. In fact maybe to some extent I don’t really care that much about computers. Maybe all I really want to do is take a really long time off and rest my tiredness away. I wonder is aging the number of years that my body has aged. Or is it the degree that people and the rest of the world around me has changed? The adult idols in my life are passing on. My Mom has been gone for over 10 years. Some of my school mates have kids who have kids. Many new employees in my workplace are young enough to be my child. And they seem to be so bright, enthusiastic, creative and having fun. I’m somehow jealous of them. Because I’m not quite sure how to be like them. Because in a way it feels no longerappropriate to be bright, enthusiastic and creative with my age and responsibility. I recently moved into a house for the first time in over 20 years. Owning a house is so so neat compared to renting an apartment. Then the other day I had to ask a bunch of school kids to not jump all over my front yard. I started to wonder if I was now going to become just another “Mean old crabby Mr. Wilson” to a bunch of bright and energetic “Dennis the Menaces” . Or maybe it’s really the energy of the year 2012 that it really is a key turning point as many may say. Is 2012 the end of the world, or is just the pinnacle of the end of the world as we know it, rapidly changing into a new world. If so, I feel like maybe this change is becoming so rapid that this tired old overweight body can’t keep up.